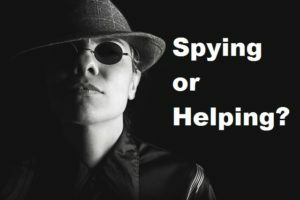 Are they going to use the information to hurt you or to help you? Who is asking you, “Where else are you interviewing?” That should change your answer. During a police interrogation you answer questions differently than you do when you are talking to your spouse. For example, “Where have you been?” can be more dangerous coming from one of those two sources. There are two correct responses to the question, “Where else are you interviewing?” If you are talking to a hiring manager or HR person, tell them. Let them know what is going on. Give them details if they ask. It will most likely increase your desirability if they know others are talking to you. Do you trust the recruiter? If so, give him the details of your interviews. He can help you much better in your job search if he knows everything. All the recruiting trainers and over half the recruiters will play fair with you. 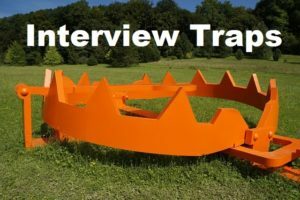 They will not ruin your chances where you are already interviewing. 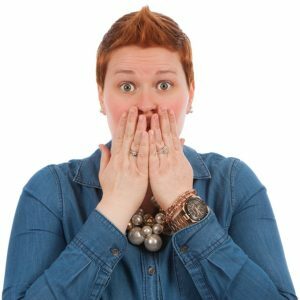 If you have serious doubts about the recruiter, tell them you are interviewing, but not precisely where. Basically, if someone will hurt you with the information, protect yourself. If the information works to your advantage, tell them. Evaluate every recruiter you work with. Which ones do you trust? Which ones are questionable? Why? Trust your instincts. I am going on vacation the week of the 4th of July. I’ll be at a family reunion in Gila, NM and totally unavailable. It is not when YOU pause that destroys you. An interviewer said, “Tell me what your biggest weakness is.” The candidate gave one example. There was a pause. The interviewer looked puzzled. Uncomfortable, the candidate gave another weakness. The surprised interviewer sat for 10 seconds after that admission trying to gather his thoughts. The candidate gave another weakness. In all, the candidate gave six weaknesses. The interview was over a few minutes later. The candidate was not hired. When you finish answering a question and the interviewer looks at you without saying anything, what do you do? Do you start talking again? No! Stop! Shut up! You need to learn to outwait your interviewer. If he wants more, let him ask. If he raises an eyebrow as if to say, “Is that all?”, then you should look puzzled or confident and wait for him to talk. Most interviewers do not consciously use silence as a weapon. They will be happier if you let the silence stretch. They are gathering their thoughts. Don’t interrupt them. Let them have the time they need to feel comfortable. Interviewers who purposely use silence will be impressed if you have the guts to let a silent break stretch to 30 seconds while looking them in the eye, occasionally glancing down to their hands. To them it is a sign of self worth and assurance. Practice talking and then being quiet. Watch how the person you are addressing gets nervous. Just for today, don’t let them off the hook. Be the strong silent type today. Tomorrow: What are your weaknesses? Later: What do we have to pay you? Should you tell them where else? Why don’t they give you an answer, Yes or No? You may be talking yourself out of a job. Your resume and your interview may combine to scare the interviewer. He may think he will lose control of his situation if he even makes you a job offer. The hiring manager for any job usually already feels out of control. Someone quit, or there is more work to do than his team can handle. He is losing control of his own time because he is being forced to review resumes and set up interview times. He is feeling out of control. Will he even accept the job if we offer it? That is the first huge question you have to remove from the hirer’s mind. There are two types of questions you can ask to help soothe the hirer. Ask the first one in the middle of the interview. Ask the second one at the very end. The second question is critical. Your purpose is to convince the hirer that they have connected with you about what makes the company great. Give them a chance to say what they like the most. While they are talking about it, lean forward and listen intently. If the hirer feels you like his explanation, he will feel a lot more comfortable that you will accept the job. Can I have the job? At the end of the interview you have to be bold. You have to ask for the job. There are several ways you can put it. This sounds like a great opportunity. I like the people, and the job sounds great. Is there anything you have seen in me that would keep you from hiring me? This is the exact job, company, and coworkers I have been looking for. Can we set up the next step in the hiring process right now? I really appreciate the chance to talk to you. What a great job and company! I want to work with you. How soon can I start working here? This has been great. Can I have the job? You will notice that the last example above is the condensed version. It is the shortest and most direct way to ask for the job. However you say it, say it at the end of every interview. Never forget it. The will practically never make you the job offer, or set up the next step right then. The point is to let them know you really really really want the job. Remove all doubt that you will accept the job if a decent offer is made. Do it by letting them know you are interested. If you ask some variation of question 1 and question 2, you will dramatically increase your chances of being seriously considered and hired. You will take that job and keep it. Contributor, hard working, excited and interested will get you a job. Greedy, lazy, bored and distracted will get you shown the door out. Excellent questions are a way to show the difference between you and the other candidates. You need to ask questions that show you will take some of the burden off of the hiring manager. You must show your great attitude with your questions. “What do you see as the greatest contribution I can make to my team here?” is a winner. “What problems will I be helping to solve in this job?” works. “What burden can I take off of your back in my first 3 months?” will be a relief. “How will my performance be evaluated in one year’s time when I take this job?” is a great question. Let them know you will be trying to meet their expectations. Open up a conversation on what is really expected of you. Do you get the idea? You need to ask questions that show the ways you can contribute and start taking away some of your new boss’s headaches. Before your next job interview or pay review, make a list of questions that show your desire, interest and motivation. Next: How early do I get there? Yes, the wrong questions can destroy your chance to be hired. True story with our candidate: He was interviewing for a $100,000/year job. The interview had lasted an hour. The hiring manager loved the candidate. There was no one else interviewing. The hirer had made up his mind that this guy was going to work for him. The manager asked, “Do you have any questions?” The candidate said, “Yes, how much time off do I get and when can I start taking vacation time?” Five minutes later the candidate was out of the office. He had no clue why the interview was terminated so abruptly. He was not hired. Attitude is everything in an interview. A hiring manager is looking for someone who will work hard. He wants a team builder who will inspire others. He wants someone who will take some of his burden away. Don”t ever ask the “What”s in it for me?” questions in your first interview. The correct time to ask is when they bring it up first, or when they make you a job offer. How much time off and vacation do I get? What is your sick leave policy? Can I come in late or leave early sometimes? Do I have to work late? What will my pay be? None of the above questions is asking anything evil. You need the answers to all of them. You”ll get all the answers before you accept the job. Just wait a bit. The correct questions to ask are about the company’s direction, your role, potential job growth, your teammates, etc. Ask questions that show you want to work hard. Your questions should show you want to help. Attitude really is everything in an interview. What you are most interested in asking about will show your interviewer what your real attitude is. Write down some questions that show how much you want to succeed. It”s good practice. When I ask my candidates about it they always say, “I didn’t want to appear too anxious. They might not pay me what I deserve.” At least they won’t have to worry about being underpaid! They will never be offered a job. Your interviewers are evaluating you for more than just your ability to do the job. They are keenly interested in your attitude. They want to know how willingly you will work with the team. Are you going to be excited to go to work, or will you be looking for a new job the day after you start? I’m impressed by this company and this opportunity. I’d love to have the chance to work with you. Is there anything you’ve seen today that would keep me from being able to join your team? When they say, “No, you’re fine.” You ask the one most critical question. Can we set up an appointment for the next step in the hiring process right now? That is fine. Now they know you really want the job. They’ll know you try to make things happen. Your desire to move things forward will be undeniable. Isn’t that the last impression you want them to have of you? Practice your closing lines before every interview. Passing technical interviews used to be the bane of my company’s existence. I would send very qualified individuals for programming jobs. They would come back from their technical interview bleak and hopeless. They had failed. They knew it. Then I bought 3 copies of the book, Ace The Technical Interview. I lent the book out before the interview. All of a sudden I had more people getting jobs. You don’t need to buy that book. I have something better. You can get great questions for review. You may also be able to get the exact questions you will be asked. Go to your favorite internet search engine and look up “interview questions forklift”. You will find a list of typical technical questions for forklift operators. Now replace “forklift” with the technical part of your job you get questions about. An accountant can put in “audit”. A programmer can insert “Java” or “J2EE”. Are you in Sales? Check out “interview questions sales”. Try this technique out in your field. Make sure you check out the name of the company you are interviewing with. Some people have made a habit of collecting interview questions from various companies. They have put them on the web. You may be surprised when your interviewer asks you the exact questions you have prepared for. You’ll love it. Google: “interview questions programmer Microsoft”. Then try some that apply to you.